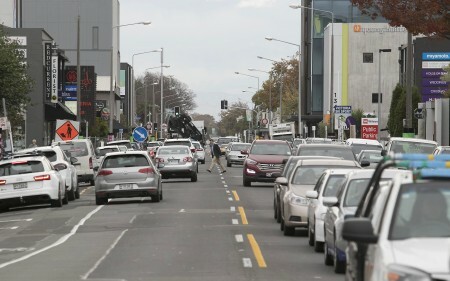 Christchurch City Council will begin engaging next month with Victoria Street stakeholders about making some minor changes to the plans for upgrading the busy street. The proposed changes take into account lessons the Council has learned from other central city transport projects and the feedback it received from local businesses on the approved plans for Victoria Street. “Local businesses raised some concerns about the approved plans, particularly around the loss of on-street parking and the potential disruption they would face while the upgrade was carried out," says Council Head of Transport Richard Osborne. Rather than push ahead, the Council asked staff during the 2017/18 Annual Plan process to report back on options for work on central city streets, including Victoria Street. That report was delivered in February 2018 and staff were asked to carry out further engagement with Victoria Street stakeholders. “Staff have been gathering up-to-date parking information and looking at the implications of making some minor changes to the approved plans, based on lessons learned from other central city roading projects," Mr Osborne says. “We have now almost completed that work and we intend to begin re-engaging with Victoria Street stakeholders in the next month about some revisions we want to make to the plans for the street."